Places to Drive in Venice FL – A fun weekend trip! Only a bit further south of Sarasota, Venice is filled with so many different activities that can make for the perfect day spending time with family, friends, or even your significant other! 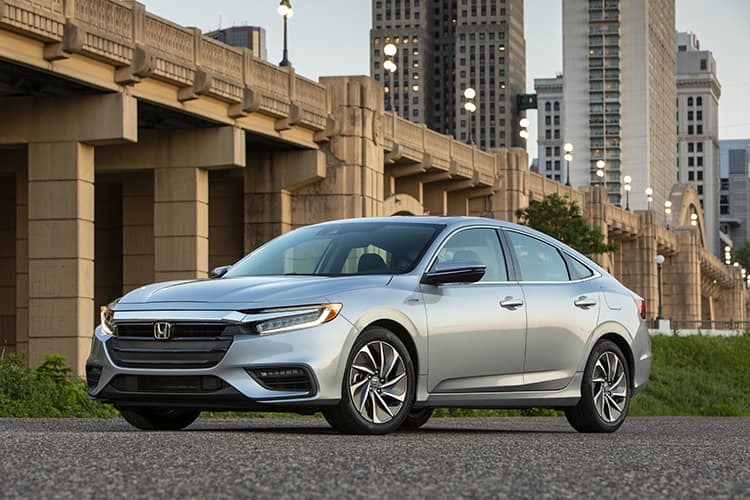 The Honda Insight Hybrid, with its fuel efficiency and outstanding safety features makes it the perfect car to get you where you need to go. We decided to take the brand new 2018 Insight all around Venice for a few days full of fun. Check out the best places to drive in Venice FL below. Take a drive a little further south and experience the beauty of Venice! Curry Creek Preserve is about a twenty-five minute drive (14.6 miles) from our location at 7333 South Tamiami Trail. The preserve offers hiking trails, wildlife watching, canoeing, kayaking, and even has a pet friendly park! Some wildlife you may encounter include gophers, tortoises, alligators, river otters, and more! Limited parking is available! Venice Beach is only thirteen minutes (3.5 miles) from Curry Creek Preserve! There’s nothing better than enjoying the lush white sands of Southwest Florida, but going to Venice Beach will allow to experience a new perspective. Bring some snacks and drinks and enjoy the afternoon soaking up the sun and the sea! Historic Downtown Venice is a quick five minute (1.2 miles) from Venice Beach. 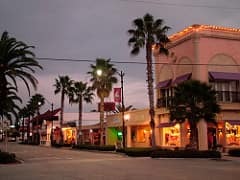 Home to over 100 unique and independently owned stores and restaurants, historic downtown Venice is the perfect place to get a great meal and spend sometime walking around. You may consider checking out an art exhibit or even a show at the Venice Theatre! Gas Used: The Honda Insight gets an impressive 49 hwy mpg and 55 city mpg. The Insight can hold 10.6 gallons of gas, getting around 550 miles per tank of gas. So this trip would only use up about 6% of your full tank! Lets take a look at some of the history of the beautiful Venice area! Historic Venice Train Depot about nineteen minutes (13.5 miles) from Wilde Honda Sarasota. Built in 1927, the depot was a key component to the founding of the Venice area. The depot is open year-round on Saturday from 10AM-1PM. Additionally it is open during season (November-April) from 10AM-3PM on Monday, Wednesday, and Friday. Venetian Waterway Park is only about five minutes (1.3 miles) from the Historic Venice Train depot. This scenic 10 mile trail follows the waterfront through downtown Venice. Venice Museum and Archives is only 2 minutes (.7 miles) from the Venetian Waterway Park. This free museum explores the history of the Venice area through over 30,000 photographs, archives, objects and publications. Gas Used: The Honda Insight gets an impressive 49 hwy mpg and 55 city mpg. The Insight can hold 10.6 gallons of gas, getting around 550 miles per tank of gas. So this trip would only use up about 5% of your full tank! Feel free to ask us about places to drive in Venice FL, Sarasota or anywhere else nearby! For more Wilde Honda Sarasota News and Events, follow us on Twitter or Like us on Facebook! 0 comment(s) so far on Places to Drive in Venice FL – A fun weekend trip!